Can a Process Server Leave Papers at Your Door? 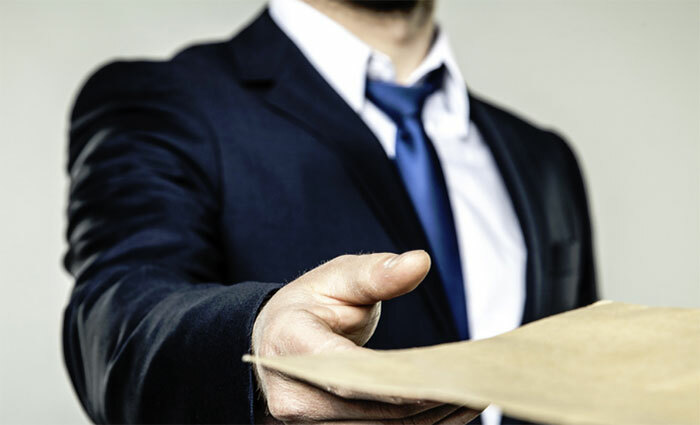 In most cases, a process server — someone who delivers official documents like citations, depositions, warrants, etc. on behalf of the court — can’t leave papers just sitting under the doormat, but there are situations when they might still serve the documents without the intended recipient present. The most common time this will happen is in “substituted” service, in which the process server gives the documents to a representative of the intended. This would need to be an adult resident at the target party’s home, someone who can identify the recipient by height, weight, and other physical details. If the papers are being served at the recipient’s place of business, the server could also leave them with a management-level employee. Again, they would need to be able to ID the person named on the papers. In order to use substituted service, the server will need to convince the court that the recipient could not be reached personally despite multiple attempts. Some circumstances might allow for a process server to post the papers in a prominent, easily spotted place (e.g., affixed to the front door) at the recipient’s home or place of business. This would then need to be followed up with a certified mail copy of the papers to that same address, which would alert the server upon receipt. Process servers cannot leave papers in a person’s mailbox. By federal law, only authorized U.S. Postal Service employees are allowed to open the mailbox or touch the mail of another person. Servers who tamper with someone’s mail or mailbox are subject to criminal charges. At LORR, our process servers specialize in hard-to-find witnesses, and we’re experts in local service law. Do you need help finding the person you’re looking to serve? Just want a pro to handle the task? Contact the LORR team today.